Detailed description: The new discovery of metal construction kits. Exclusive with tronico. A real must for the avid model builder. The LIEBHERR Tower Crane excavator is modeled after an original LIEBHERR Tower Crane from ECB Series. The scale is 1:100 and is screwed together from 1002 single parts. It is fully functional. The crane trolley is fully functional and operated by a mechanical crank. The Tower crane can be moved by 360 degree. The hook can be moved up and down by a second crank. 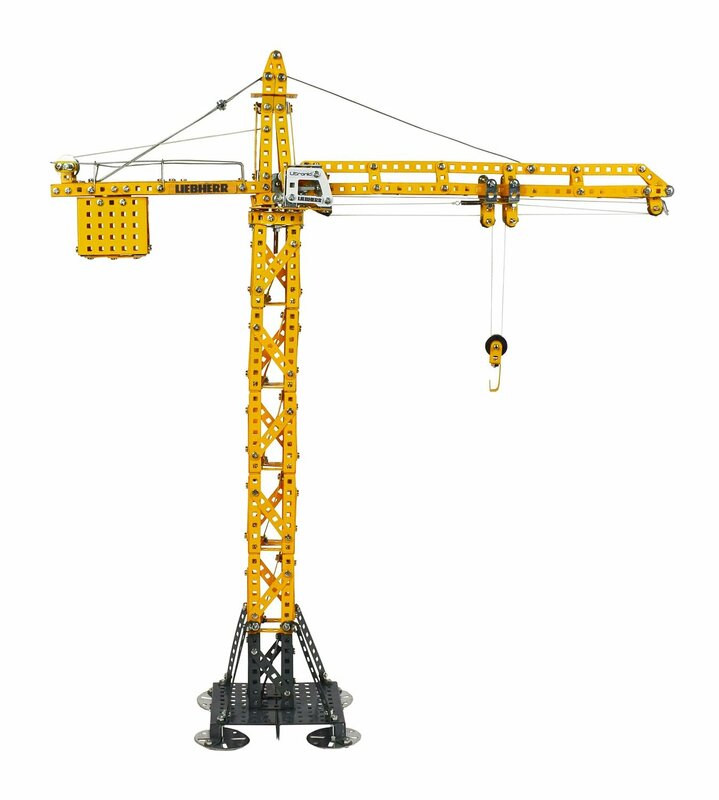 lThe weight of the crane is 1.5 kg and thus provides a very detailed design. All parts are screwed together with nuts and locked individually. The material of tronico is made from high quality metal and plastic. 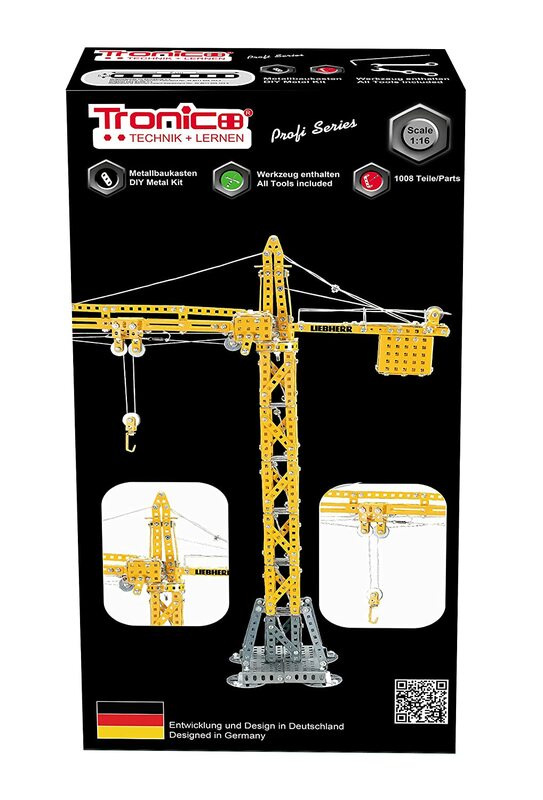 It comes supplied with a LIEBHERR sticker which after completing the assembled model makes it a true original LIEBHERR Tower Crane model made of metal. In the cardboard box next to the material you will find tools for assembly, assembly in 4-colour instructions and a colorful picture with control side views of the ready assembled product. We at tronico highly recommend the age of 12plus or at least with experience in metal kits. The material of tronico is made from high quality metal and plastic.